Bounce Back® helps individuals (aged 15+) overcome early symptoms of depression and anxiety; it also helps to improve their mental health. Participants learn skills to help combat unhelpful thinking, manage worry and anxiety, and become more active and assertive. Bounce Back® is an evidence-based program based on Cognitive Behavioural Therapy [CBT]. CBT is proven to be as effective as medication for reducing the symptoms of mild to moderate depression and anxiety. The video is available in English, Mandarin and Cantonese and is available through your doctor or by calling 1-866-639-0522 (toll-free). The Bounce Back® workbooks are available in English with telephone coaching in English, Mandarin, French, Cantonese, or Punjabi. Please talk to your doctor to request a referral to Bounce Back® workbooks and coaching. For more information about Bounce Back® go to www.bouncebackbc.ca. The Chinese Mental Health Promotion Program improves the lives of individuals in the Chinese community by increasing awareness of mental health issues, promoting wellness through recreational and leisure activities and reducing the stigma associated with mental illness. For over 20 years, the program has hosted monthly support groups in Cantonese and Mandarin, has held depression/anxiety screenings and large festival events, and with the help of community partners, has facilitated workshops on a variety of topics such as grievance, managing money, understanding emotions, etc. As well, programs include culturally rich and supportive activities ranging from painting, singing to exercise sessions and laughter yoga. 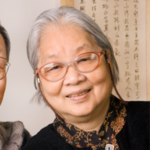 The program includes a component entitled “Happy Seniors,” which provides programming specific to the unique needs of Cantonese and Mandarin speaking older adults. For more information, please contact our Chinese Mental Health Promotion Program Coordinator, Stella Lee, by email or at 604-872-4902 ext 235. The South Fraser Resource and Support Centre in Ladner/Delta has been helping people lead happier, healthier, more full-filling lives through its counseling services for 8 years. We can provide lower-cost counselling services for people with limited income who would not otherwise qualify for such services. The services available include clinical counselling for children, youth, adults and seniors, group/couples therapy, functional assessment, educational and career counselling, nutritional support, life skills coaching, training, advocacy and Art and Expressive Therapy. We specialize in anxiety, depression, anorexia, bulimia, borderline personality disorders, bi-polar, OCD, autism, grief and loss, addictions, trauma, and crisis. 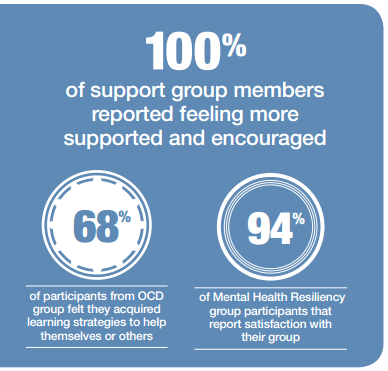 The South Fraser Resource and Support Centre offers a variety of support groups that offer support, encouragement and education in a confidential, non-judgmental setting. The groups are often co-led by peers and a Registered Professional Counsellor. They are offered in drop-in format, are free to participants and available to people no matter where they live. As a partner in the Delta Food Coalition, The South Fraser Resource and Support Centre offers opportunities for children, youth and adults in our community to participate in gardening for mental wellness and also provides distribution of fresh, locally gleaned fruits and vegetables. ORCA reduces the isolation of tenants living in social housing, increases their connection to community, builds relationships, and improves both tenancy and life skills through a foundation of recreation and leadership programming. ORCA engages tenants in meaningful and motivating activities, creating inspiration to each individual to reach their potential and to live a full and satisfying life. The program also provides a sense of purpose and accomplishment, influential factors in positive mental health, through leadership opportunities. ORCA provides recreation programming at 14 BC Housing sites and includes adult, children and family activities. The South Fraser Resource and Support Centre provides mental health resources, advocacy and support for calls, walk-ins and visitors. Located in the heart of Ladner (Delta) the Centre also hosts a Therapeutic Volunteer Program for adults on disability. Through volunteer experience at the Centre, volunteers improve on the skills required for the workplace and feel a dramatic increase in confidence and ability. The Centre also welcomes a variety of practicum students looking for experience in business skills, social work and counselling.